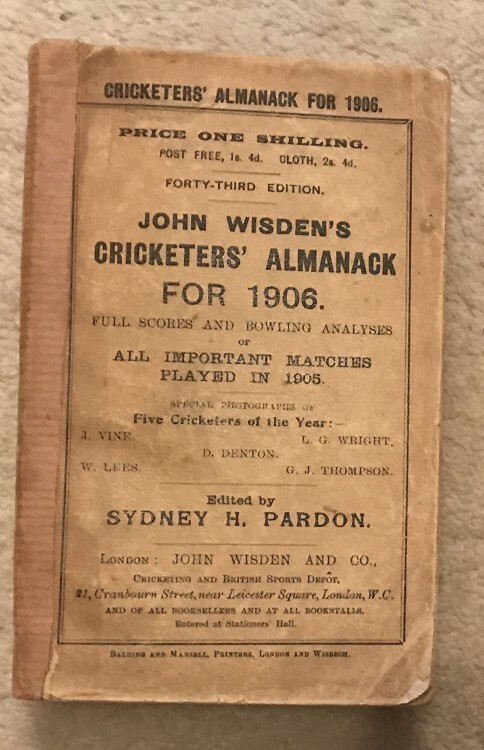 This lot is an Original 1906 Wisden Paperback with paper added to the spine. This is in OK condition, the book is a bit worn and the spine a bit amature. The front and rear of the book have a read feel but it is complete with nice pages inside and tightly bound. Nice photoplate and tissue paper. Postage: £4.90 which covers first class Delivery & Jiffy Bag to UK else £10 abroad (ish).